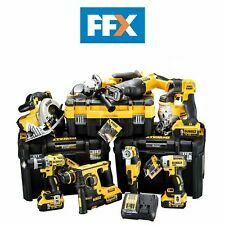 Dewalt 6 Piece Power Tool Kit 3x 4Ah Batteries and Stacker Boxes. Dewalt XR 18volt 6 piece kit. 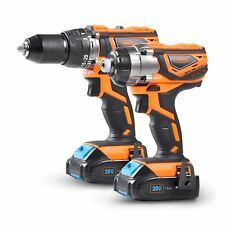 3 x 4.0Ah Li-Ion batteries, 1 x Jigsaw, 1x Circular saw, 1 x Grinder, 1 x Compact hammer drill, 1 x Brushless impact driver, 1 x LED pivot light. Complete with 2 x Dewalt stacker storage boxes and 1 x Multi voltage charger. All barely used in excellent condition. Can consider packaging up if you arrange your own courier. Condition is New. 2 x Tstak VI kitboxes. Dewalt DCD795 XRP Compact Combi Drill. Dewalt DCF886 Brushless Impact Driver. Dewalt DCS391 Circular Saw. Dewalt DCS331 Jigsaw. Dewalt DCL040 Torch. Powerful & Highly efficient DEWALT PM47 fan-cooled motor with replaceable brushes. Dewalt DCK276P2 Combi Drill and Impact Driver XR 18V Brushless Kit (2 x 5.0Ah). Condition is New. Dispatched with Royal Mail 2nd Class. 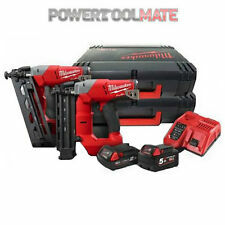 Milwaukee M18BPP2C-402C 18v combi impact twin pack M18BPD M18BID In Good Condition Working Perfect With 2 4ah Batterys , Charger and Case. 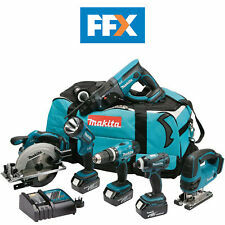 Makita 8 Piece Drill Set Including Charger & 2 Batteries Tested Working Great!